Plug-in type heat detectors, Rate-of-Rise & Fixed or Fixed temperature only. 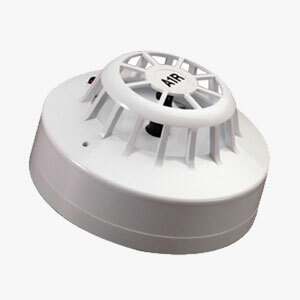 Alarm point ranges from 135° F to 200° F. Needs a mounting base to plug into. Resettable unit.